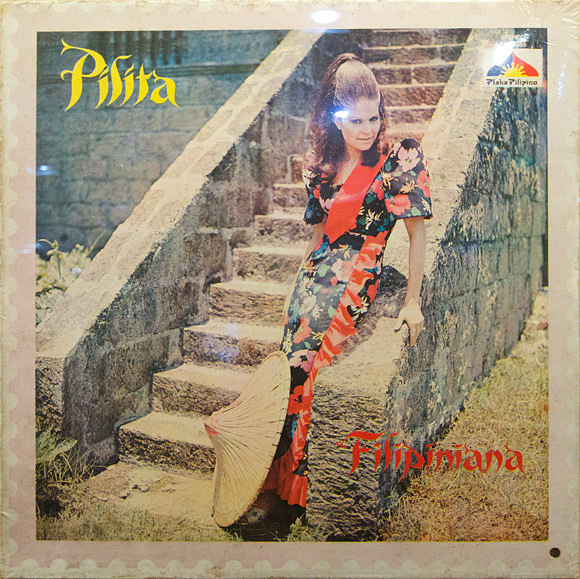 Pilita Corrales, mestiza, mother of Jackie Lou Blanco and Monching Christopher, Cebuana and celebrated singer. For me, she was always the backbending songbird that I used to see on TV many years ago. But that night, during Cebu’s 2012 Gabii sa Kabilin (Night of Heritage), I just discovered THE Pilita Corrales, the siren whom many men adored. It was one of the tasks that we had to do in the QR Code Hunt, a challenging yet fun activity done as one of the highlights of the heritage event. I had to sing a stanza of the famous Cebuano song Matud Nila (Ben Zubiri, 1941) for us to finish the challenge. And it was what brought me to this museum. I was quite impressed and in awe with visiting for the first time the Jose R. Gullas Halad Museum. A musically themed space, it pays homage to Cebu’s rich music heritage. It has modern amenities, beautiful lighting and there, discovered more of Cebu’s music and it made me realized that its an aspect of my being a Cebuano that I am missing and I really want to explore more. The Gabii sa Kabilin event last 25 May (celebrated every last Friday of that month) was inspired after Berlin’s Lange Nacht der Museen (Long Night of Museums) started in 1997. It’s an eye opener and a fitting introduction to Cebu’s rich heritage and culture where the sheer number of the participating spaces showcase not only Spanish and American colonial period structures but also songs, dances, food, art and history. An overwhelming and awesome smorgasbord! Now on its 6th year, it was organized by the Ramon Aboitiz Foundation, Inc. Every year, more and more heritage sites, museums, galleries and spaces have joined. Roaming around the different heritage sites that night made me smile. It’s not only because of the many discoveries and experiences I had but seeing the number of visitors was heartwarming. Does this mean that, finally, the Cebuano is waking up and realizing that he has such a rich heritage and culture that we really are ought to be proud of? I just hope that in succeeding celebrations of Gabii sa Kabilin, it will become bigger, more people will join and have activities that will include something like a passport system similar to the Rizal 150 but encompasses province wide. In this way, its not only those repositories of cultures, our museums in the city are being visited but also local museums that needs great support. …Ingna ko nga dili mo kawangon Damgo ko’g pasalig sa gugma mo. I fell unto the awaiting arms of Pilita. JRG museum really brings you back when I was a kid. Evocative songs that rekindle the past. The structure and the architecture is well designed. Thanks for highlighting the JRG Halad Museum on this entry, Estan. We appreciate posts such as this so as to spread the word that indeed Cebuanos have a lot to be proud of. Didn’t get to see the Smart QR code hunt participants when they did their tasks at Halad, but this post will suffice for that lack. Come down for a visit again whenever you’re in Cebu. Pingback: Congratulations to the winners of the 2012 Gabii sa Kabilin Blogging Contest! Congratulations! Wow I love this blog, I really want to go to Cebu! Next time I visit I will make this one of the things I do! Btw, may I suggest you make a trip to Taal, Batangas Heritage Town and blog about it? 🙂 Your a great blogger. Check out: taal.ph thanks!